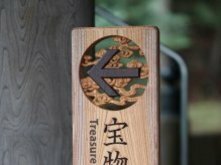 Feel the history within the expansive precincts of Zuisen-ji and immerse yourself in its refined and elegant atmosphere. 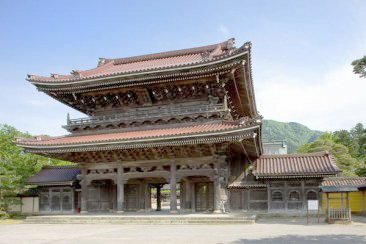 The temple has many interesting attractions, such as the Hondo hall (main hall), Sanmon gate (main gate), Hall of Treasures and its garden. Zuisen-ji is famous for its Inami carvings, the most eye-catching of which can be seen in the Taishido (Prince’s Hall). You will be amazed at the detailed and beautiful workmanship of our ancestors. Visitors are also charmed by the seasonally changing appearance of the garden and trees within the temple precincts. 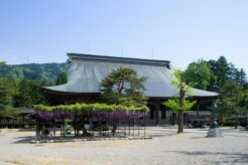 The transience of its beautiful cherry trees, wisteria and autumn leaves complements the permanence of the temple’s wooden structure. 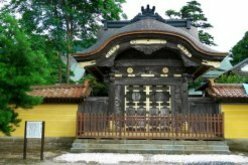 Please enjoy the history and atmosphere of the largest Buddhist temple in Hokuriku.